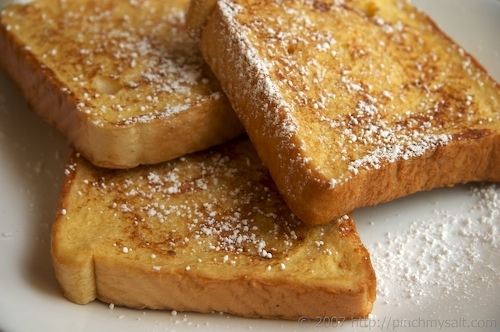 This Sunday, April 13th, from 7:30-11:00am the Soul Garage Student Ministry will be cooking a French Toast breakfast for the Maranatha EFC congregation. All proceeds will go to offset the cost of our summer missions trip to Chicago to partner with Christ Our Savior Church in running an outreach focused VBS July 11-20, 2014. Student volunteers are needed to help setup, cook, serve, and clean up. If you didn’t already sign up, please email Pastor Tony what shift you plan to help with. There will also be whole cheesecake apple pies and whole ham & cheese quiches for sale while supplies last. New items on the menu this year include oatmeal and ham & cheese quiche (including a gluten free option of quiche). 7th-12th grade students are asked to come for one or more shift. Report to the kitchen or the Gathering Place when you arrive for your assignment. If you attend another church Sunday morning or are unavailable Sunday for another reason, we could use some help Saturday morning from 9-noon prepping food and finishing the setup in the Gathering Place. Looking forward to having you help out as we serve the rest of the church.